Can't decide on the specs or don't want to wait for a custom build? We now have stock guitars for sale, among which Holy Grail Guitar Show showpieces. Check out our 'In stock' page! 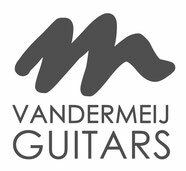 VanderMeij artists For I Am King have just released their new single ‘Forever Blind’ through REDFIELD RECORDS. Watch Koen Scheepens and Wouter Cammelbeeck play their Magistras in the video!